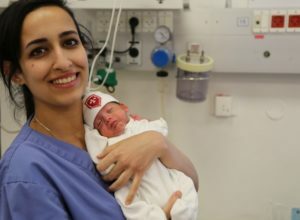 After years of struggling to become pregnant, Yasmine and her husband were overjoyed to learn they were expecting their first child, due only days before their seventh wedding anniversary. 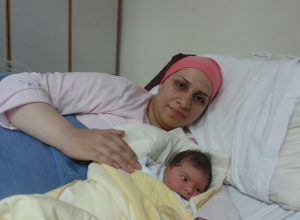 Living in Hebron, a village an hour and a half away from Holy Family Hospital, Yasmine regularly saw a local doctor. 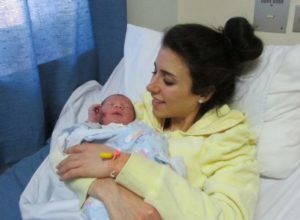 Near the end of her pregnancy, her doctor noticed several factors indicative of a high-risk pregnancy and immediately recommended that Yasmine travel the long distance to Holy Family Hospital, the closest hospital equipped to handle her complications. Yasmine and her husband are grateful for the high-quality care that they received at Holy Family Hospital and recognize that they would not have their baby girl, Lara, were it not for the expertise and care of the Hospital’s team.